In May, many countries celebrate Mother’s Day. Some of them celebrate it the second Sunday of May, while others have a fixed day to celebrate, like May 10th in El Salvador, Guatemala and Mexico. For May's prompt, I would like you to think about your favorite literary character who is a mom! You can think about Mrs. Bennet from Jane Austen’s classic novel Pride and Prejudice. Maybe Ma from Emma Donoghue’s Room, or even our beloved Lily Potter! Whichever Literary Mom you choose, please make a graphic representation of her and share it with us by replying to this thread! Please do not forget to mention the name of the mother you are depicting and from which book she comes from. Remember to keep everything HOL appropriate,show your original work adhering to all HOL rules, and keeping your submissions 600x600 pixels or smaller. This is Sunja from Pachinko by Min Jin Lee. 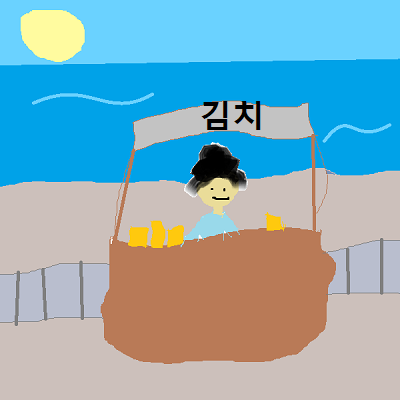 She helped bring in money for her family and her two sons by opening a kimchi stand. Last edited by Prof. Gustavo Flores on Sat Jul 07, 2018 5:32 pm, edited 1 time in total.